Turkish President Recep Tayyip Erdogan is in Germany trying to rescue tensions between the nations. The two leaders vowed to try and rebuild relations despite deep differences over press freedom and civil rights issues. The visit marks the first time the Turkish leader has visited the country in seven years. 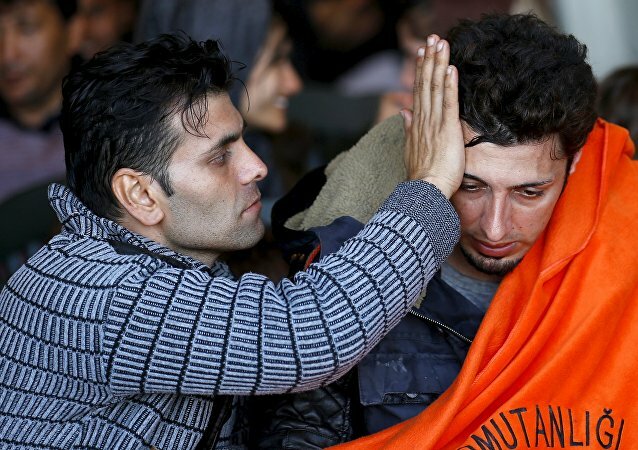 A higher proportion of migrants and refugees are dying on their way to Europe as a consequence of piecemeal political efforts to stem the influx which don't really solve the problem, Professor Heaven Crawley of the Unravelling Mediterranean Migration Crisis project told Radio Sputnik. 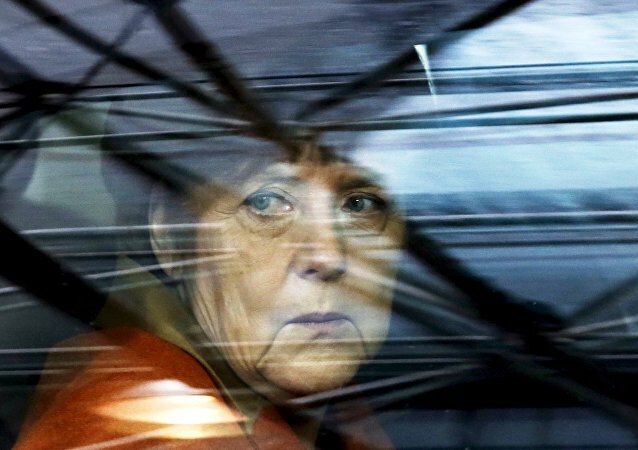 Recent statements by German Chancellor Angela Merkel about the possibility of making deals similar to the Turkey refugee agreement with North African countries have gone down badly in Brussels, German magazine Der Spiegel reported on Saturday. Angela Merkel has urged the EU to make new migration deals with North African countries, but Tunisia already has one which it isn't happy with, Ramy Salhi of the human rights NGO "EuroMed Rights" told Sputnik Francais. 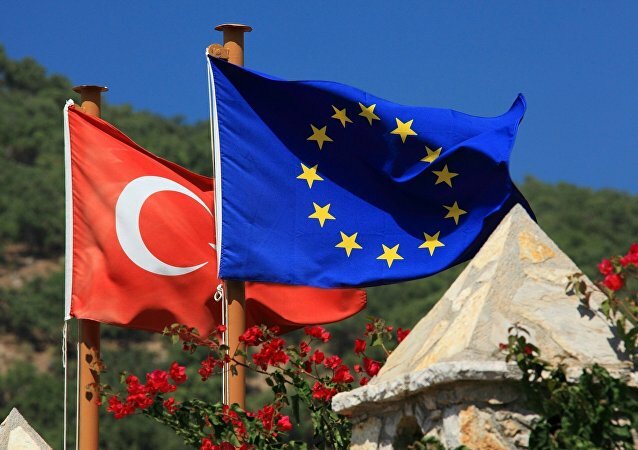 Leading German politicians and business figures believe the EU-Turkey refugee deal is now in doubt because of the recent events in Turkey; 98 percent of those polled by a German newspaper think Turkey's EU membership is out of the question. 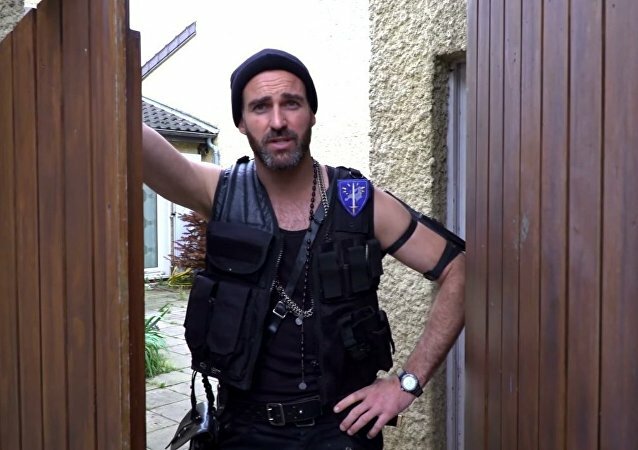 French charity Medecins Sans Frontieres (Doctors Without Borders) has created an internet mock-reality miniseries to criticize the EU's refugee policy. 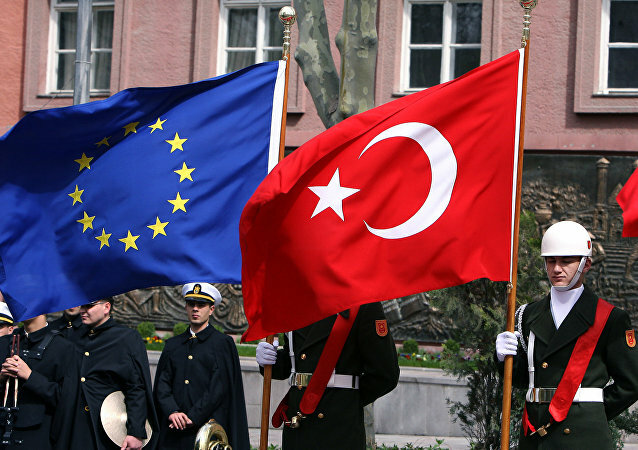 The EU Commission could suspend its visa-free agreement with Turkey at any time if it feels Ankara is not fulfilling the conditions, Dr. Matteo Garavoglia, Visiting Fellow at the Brookings Institution's Center on the United States and Europe, told Radio Sputnik. Around 50,000 people remain stranded across Greece as the EU tries to negotiate its complex asylum rules. Meanwhile, authorities have resumed deporting "irregular migrants," following a controversial deal between the European Union and Turkey. One of German Chancellor Angela Merkel's coalition party's most senior politicians has warned that the deal brokered between the EU and Ankara over refugees could trigger a mass exodus of Kurds from Turkey into Europe. 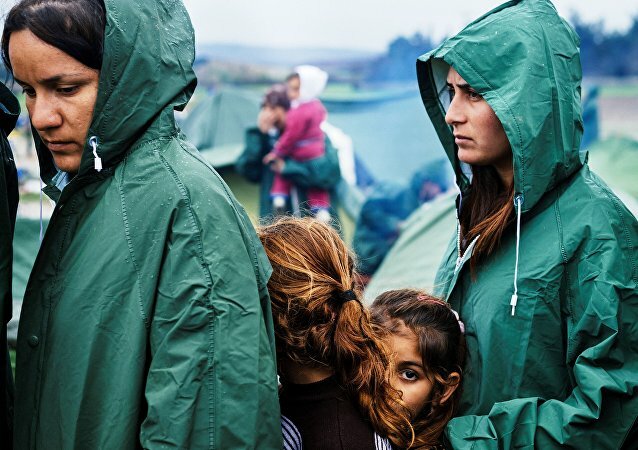 European Union leaders Thursday begin the latest round of talks on the refugee crisis after the previous summit ten days ago ended in acrimony when German Chancellor Angela Merkel was accused of ambushing the agenda to do a deal with Turkey many say is immoral, if not illegal. President of the EU Parliament Martin Schulz is pessimistic about the outcome of Thursday's summit between the EU and Turkey, and warned that "no project, including the EU, is irreversible." Last-minute talks between the President of the European Commission Jean-Claude Juncker and Turkish Prime Minister Ahmet Davutoglu are due Wednesday amid angry calls from lawmakers to decouple the deal from Turkish membership of the EU. Lithuania is among countries which allot money to refugee-host Turkey to accept undocumented immigrants who entered Europe, the Lithuanian Foreign Ministry said in a statement on Sunday. Lawmakers in the European Parliament claim the deal brokered - at the behest of German Chancellor Angela Merkel - between the EU and Turkey on relocation of migrants and refugees is in breach of the Geneva Convention. German Chancellor is becoming politically isolated after clashing with European Council President Donald Tusk over the closure of borders in the West Balkans as her backing for an EU-Turkey deal meets growing resistance. The so-called Balkan transit route has effectively been closed to refugees after Slovenia, Croatia and Serbia all imposed further restrictions and bans on people traveling through the region. This comes just days after German Chancellor Angela Merkel said closing European borders was not an option. Lawmakers in the European Parliament have slammed the latest EU deal with Turkey under which member states are paying another US$3.35 billion to Ankara in a one-for-one migrant swop, which the United Nations has branded "deeply concerning." Turkey failed to control people smugglers, which makes the payment of additional funding unnecessary, as well as speeding up the payment of 3 billion euros ($3.3 billion) promised in November, according to a Greek member of the European Parliament.